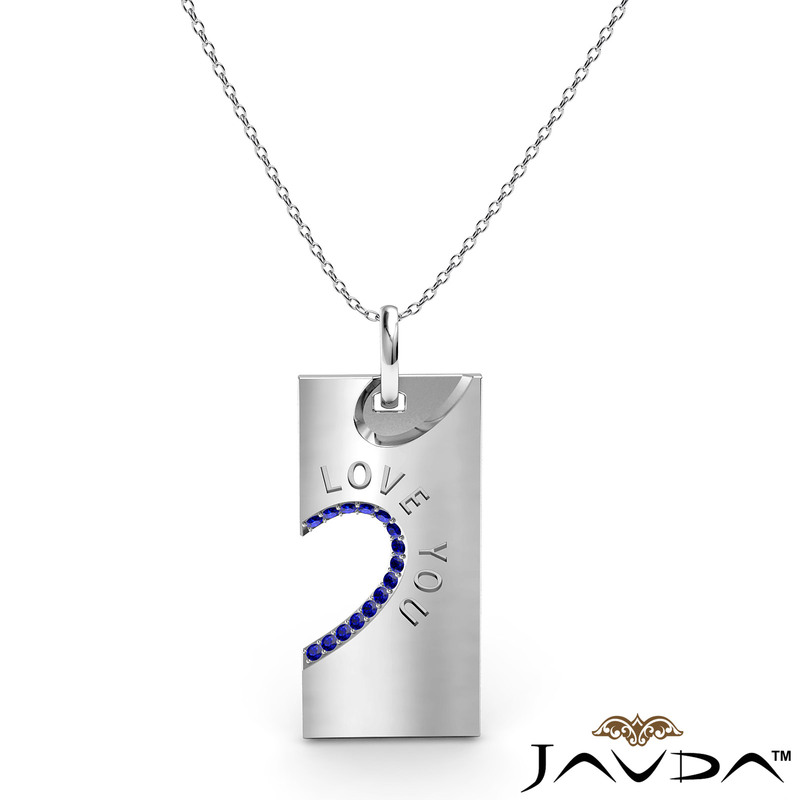 Say I Love You with love you sapphire heart pendant necklace made in 14k white gold. 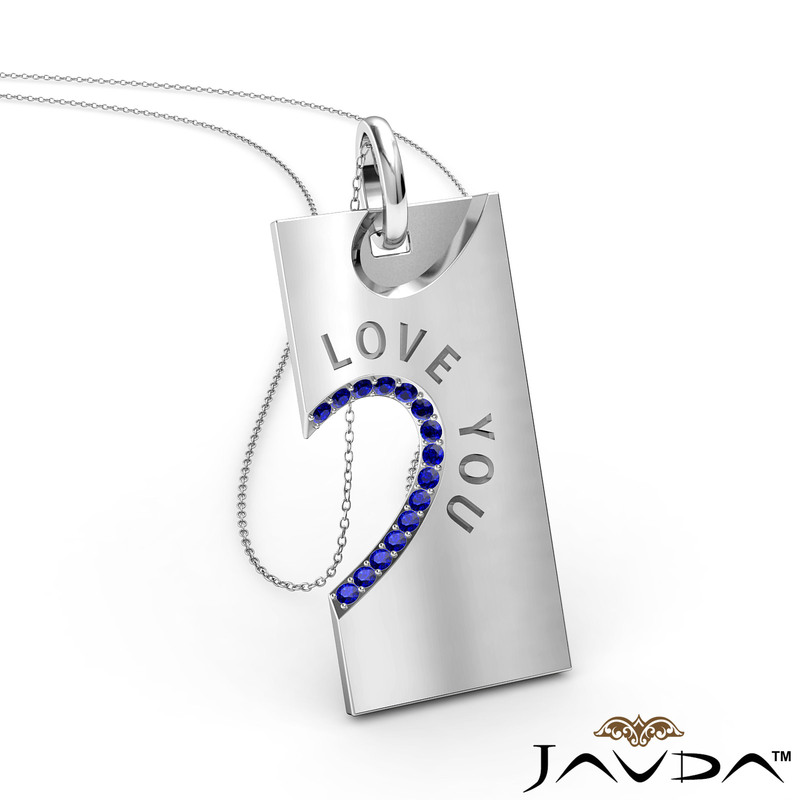 This charm pendant features a 0.24 carat round sapphire gemstone in a micro pave setting with beautiful engraving of Love You. This pendant hang on 18 inch rolo chain that secures in a polished finish ring clasp. Express your love and affection to your partner on very special occasion Valentine's Day, available in 14k & 18k white gold, yellow gold, rose gold and platinum 950. Top Width 0.6 in., Top Length 1.5 in.